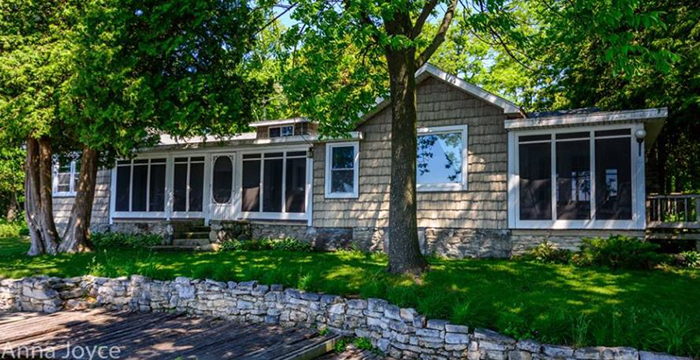 Robertsons Cottages are nestled on a slender little peninsula in Door County called Idlewild. 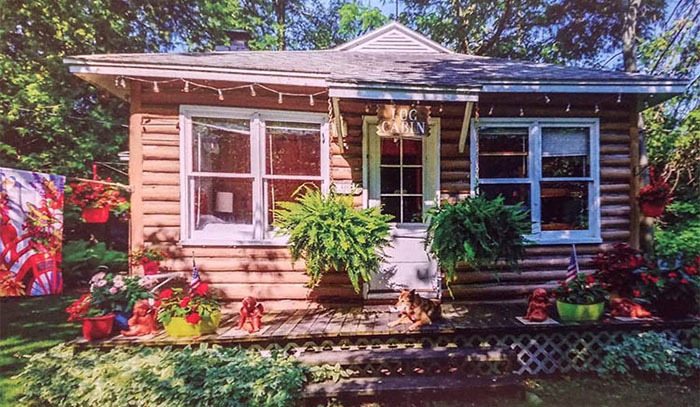 In this wooded setting, at the end of a quiet dead-end road, our family has welcomed guests since the 1930s. Idlewild is located at the juncture of the waters of Green Bay, Sturgeon Bay, and Sawyer Harbor. Unparalleled fishing in the fall and spring is all around us. The unique scent of the forest, the pristine waters and closeness to nature make it easy to take a break from the cares you left behind. 2019 Rates: $850-$1050 weekly; $150 daily. 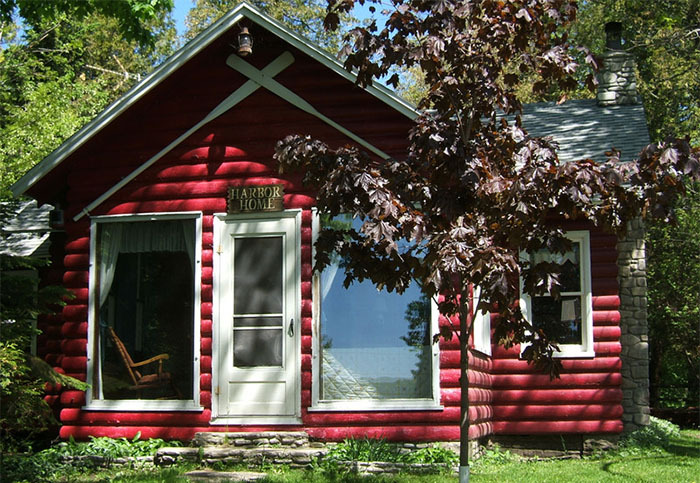 The cottages, with their individuality and uniqueness, have all the amenities a country cottage needs. 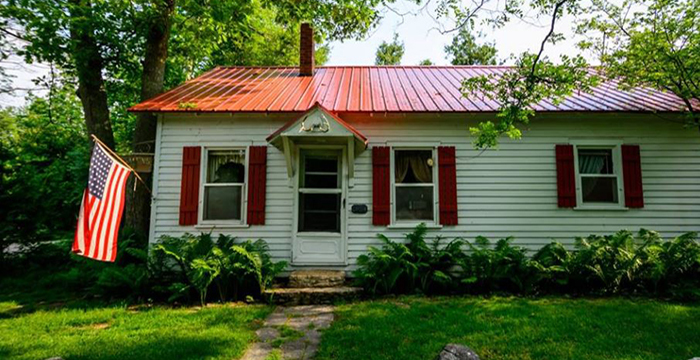 Each cottage has a gas range, refrigerator, microwave, completely furnished kitchen, plenty of blankets and pillows (sheets and towels not provided), Weber grills, comfortable furniture and showers. There is a safe, sandy beach, playground equipment, tether ball court and a swim raft. 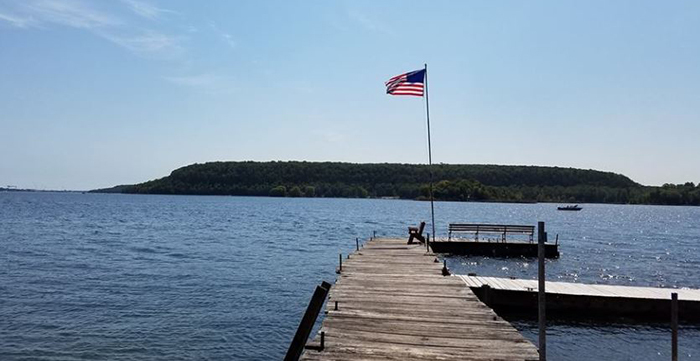 With over 300 feet of shoreline, a spacious permanent pier (8’ by 120’), protected moorings with finger piers and boat slips, Robertson’s is a great location for the boat lover. A public launch ramp is located 1/4 mile away. Fishing from the dock is always great fun, even for the littlest guest. In spring, as nature changes the landscape, the woods are covered with white trillium, dogwood, and wild cherry blossoms. Nearby apple and cherry orchards bloom in late May. The walleye fishermen troll the harbor every night. In autumn, the view across the protected water of Sawyer Harbor is spectacular. One can observe the slowly changing panorama of color of the steep, densely wooded bluff of Potawatomi. 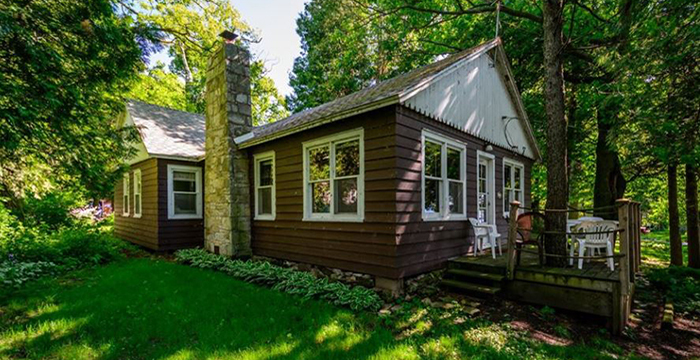 Whether you are bicycling the winding, country roads, hiking to nearby Sherwood Point Lighthouse to watch the pounding surf against the high limestone cliffs, or curled up with a favorite book in front of the fireplace, you will enjoy the fall season in Door County. If activity is what you enjoy, there is the challenging 18 hole Idlewild Golf Course located at the entrance to Idlewild. You may wish to take short trips to the more populated areas of the County where you can enjoy village shopping and local festivals, both fall and spring. 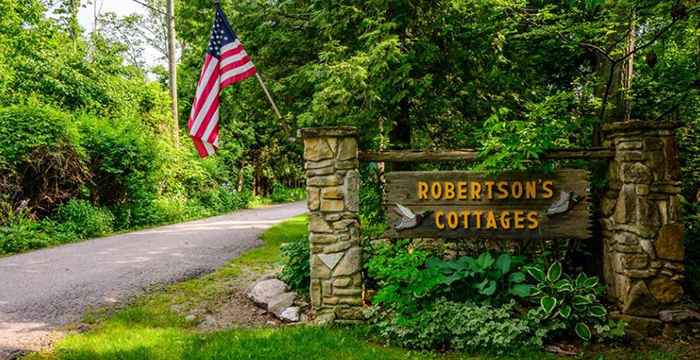 Since opening in 1938, Robertson’s Cottages has been owned and operated by our family. Robertson’s has become an established tradition for many of our guests. Perhaps you too would like to begin a tradition.